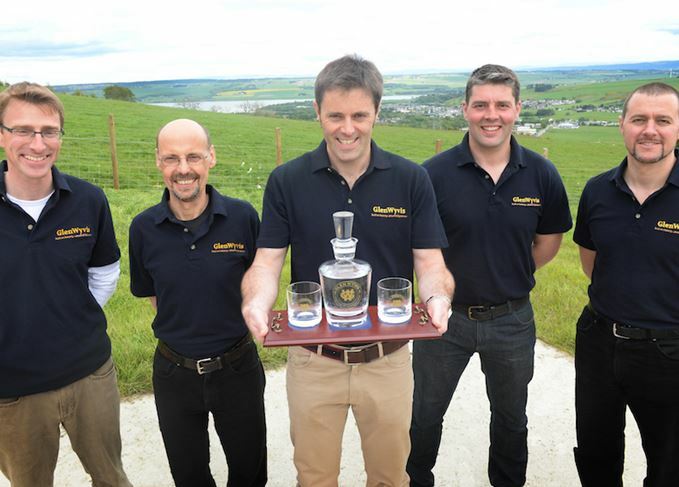 Dingwall’s planned Glenwyvis distillery has launched a £1.5m share offer, aiming to create Scotland’s first community-owned craft whisky plant. Spearheaded by farmer John Fraser McKenzie and supported by Community Shares Scotland (CSS), the offer was launched last Saturday, on the 270th anniversary of the Battle of Culloden. It allows local investors – those living in all IV postcode areas – to invest as little as £250 in the new venture, priced at £50 per share, with an option for people to club together to make an investment. However, the project is also open to outside investors willing to contribute £750 or more, with rewards (from T-shirts to gin and whisky) rising in tranches up to a maximum investment of £100,000. Glenwyvis, which it is hoped will be 100% powered by green energy, is said to have been inspired by the historic distilleries of Ross-shire and Inverness-shire, including Ferintosh, Ben Wyvis in Dingwall and Glenskiach in Evanton. Ferintosh was established by the Forbes of Culloden family in 1690 on the Black Isle, just east of Dingwall, but closed down in 1785 and was famously lamented by Robert Burns. Construction of Glenwyvis distillery is due to begin in June this year, with the stills set to arrive in September and the first run of spirit scheduled for Burns Night 2017 – signalling the return of Scotch whisky-making to Dingwall for the first time in 90 years. There are also plans for a visitor centre in the town, part of a wider strategy ‘to recreate Dingwall as the craft distillery town of Scotland and as a quality tourism destination on the North Coast 500 route’. The Glenwyvis Community Share Offer closes on 24 June, with the option to extend the deadline if the amount raised is close to the total required to proceed with the project. Peasant, bard or a bit of both? Reconciling the contradictions surrounding Scotland’s national poet. The festival will bring the capital’s bars together for a celebration of Scotch whisky.